The Chicago Independent Film Critics Circle (which TYF critics Jon Espino, Jim Alexander and I are members of) announced the nominations for the CIFCC Awards today. Leading the pack is Barry Jenkins’ Moonlight with eight nominations and nabbing seven nods each are La La Land, Jackie, and The Handmaiden. The CIFCC’s main goal is to showcase diversity in film criticism, and these selections are quite indicative of that. Read the full press release, along with this year’s full list of nominations, below. 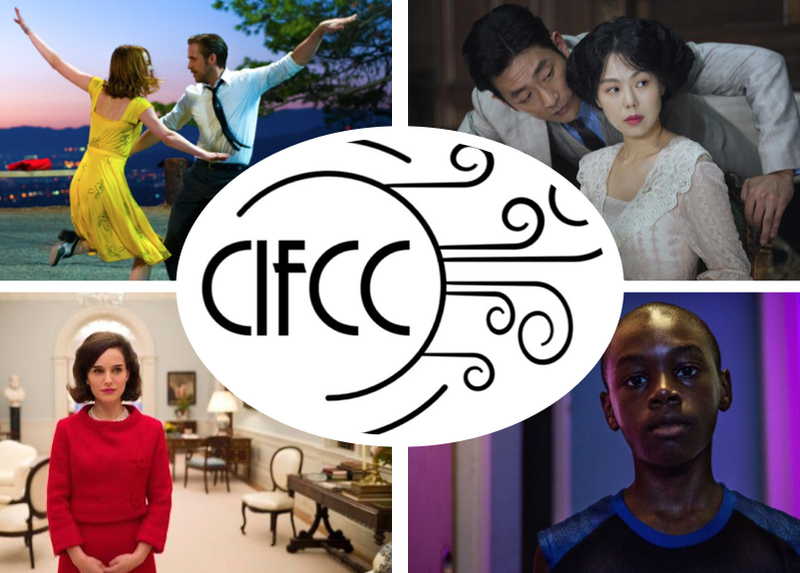 Capping off their inaugural year, the members of newly-formed Chicago Independent Film Critics Circle have announced their nominees for their first annual CIFCC Awards. Their voting membership of 28 members strong completed ballots over the holidays with the goal of three final nominees in 25 categories. They will commence a final round of voting ending on January 1, 2017 and host an invitation-only awards banquet at Transistor Chicago on January 8, 2017. Leading all films with eight nominations is Moonlight from director Barry Jenkins. Following closely with seven nominations each are Jackie, La La Land, and The Handmaiden. There are 35 different films included in 25 total categories for the CIFCC Awards. Two awards of special interest are the Trailblazer and Impact Awards. The Trailblazer Award honors the work of an artist who truly pushed the boundaries of the medium in terms of form and content. Nominated are the directors behind The Love Witch, Swiss Army Man, The Lobster, and The Illinois Parables. The Impact Award celebrates a person whose work has had a positive impact on society and the nominees include documentarian Ava Duvernay for 13th, filmmaker Barry Jenkins for Moonlight, and University of Chicago programmer Jacqueline Stewart. Previous ArticleTV Review: Vikings 4x15 "All His Angels"